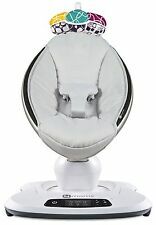 It moves like you do™ The 4moms® mamaRoo®4 infant seat bounces up and down and sways from side to side, just like parents do when comforting their baby. Select from five unique motions, like car ride and tree swing, and five different speeds. Gently lower the swing seat to create a cozy, reclined sleep space as baby continues to glide with the soothing Graco DreamGlider™ Gliding Swing and Sleeper. The swing seat reclines to a sleeper with an easy, one-hand motion, giving your baby a safe and comfortable spot to rest without having to be moved from the swing. The adjustable saddle is comfortably padded, fully supportive and machine washable. You can also adjust the bouncer's height for a perfect-for-baby fit. Munchkin Bounce and Play - Door Bouncer. · 2 teether rings encourage baby to bounce. The Lullaby Swing in new Linen design is bang on trend with soft dove grey and white fabrics. 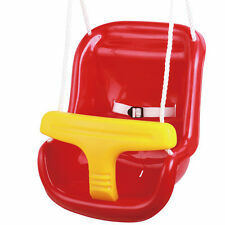 The Lullaby Swing can fold for handy storage and carrying. The swing grows with your child. When the child grows, all you need to do is disassemble the front rungs, and when they of age to swing by themselves, you can take off all the rungs to receive a swing - a bench. Relax and help your baby sleep with this Luxury Baby Bouncer in Pink. Featuring soothing vibrations and calming music built into the bouncer. It has a cosy head cushion for your little-one, they won’t be able to help but doze off. Rocker easily converts from seat to comfy napper. 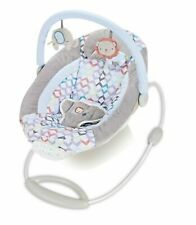 Move the Rocker Napper's hanging electronic toy to the appropriate distance from baby's palm, so that when she raises her hand she can hit the toy or, later, grasp it with ease. This cover should fit all Baby bjorn bouncers. Cover only not a bouncer. See my other handmade covers with titleHandmade Designer cover for BabyBjörn baby bouncer. Unique and bespoke. 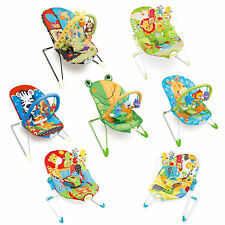 The 4moms rockaRoo provides the front to back gliding motion babies love, in a compact size. The rockaRoo's front to back gliding motion has five speed options. Provide your own soothing sounds by connecting any MP3 device to the rockaRoo. PREMIUM QUALITY, SAME DAY DISPATCH, NEXT DAY DELIVERY ! Munchkin Bounce About Door Bouncer. The adjustable saddle is comfortably padded, fully supportive and machine washable. You can also adjust the bouncer's height for a perfect-for-baby fit. · Use for a child that can support its head unaided until they can walk. 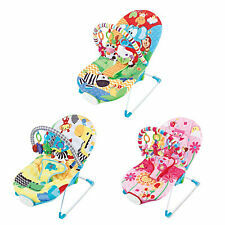 The optional calming vibrations and soft, cozy seat help baby feel safe and secure. And the overhead toy bar, with three bat-at animal pals, entertains when baby’s ready to play. Baby’s gotta bounce! Bright Starts Disney Tigger Door Bouncer. Tiggers love to Bounce! And so do babies! Tigger's face is made of fun, crinkle material that makes sounds when little fingers grab on. The strap adjusts easily to keep little feet dangling at just the right height. Your precious little one will have so much fun exploring the many features on our Cosy Edge bouncer chair. HIGHLANDS, NORTHERN IRELAND,CHANNEL ISLANDS, JERSEY, ISLE OF WIGHT, BFPO. Suitable from birth to 6 months. Linus Age: Infant. Graco Features: Foldable. The Graphic Blue Bouncer from Babymoov is perfect for keeping your baby snug and cosy right from birth. You are able to remove it to access your baby easier or swap it back in to develop motor skills with the sweet soft toy hanging with form the arch. MUNCHKIN BOUNCE ABOUT BOUNCER PERFECT FOR ANY BABY. the bouncer provides ultimate safety for complete peace of mind. Suitable for babies up to 12kg. The Munchkin Bounce About will keep your child entertained. The swing seat doubles as a rocker, giving you flexibility to move around the house while keeping baby comfy and close-by. Only swing to soothe baby with synced sound and vibration. Extended canopy with upgraded fabrics. The adjustable swing speeds allow mom to find just the right pace, and the 3-position recline will ensure baby's comfortable. The swing also features 2 speed soothing vibration, 6 songs and sounds, an adjustable toybar with two soft toys and plush softgoods with removable infant insert. The new Graco® Sense2Soothe™ Swing with Cry Detection™ Technology is the only swing that's baby operated through technology that automatically responds to baby's cries to help soothe her. The Cry Detection™ Technology uses a special built-in microphone that's designed to hear baby's cries and respond by automatically adjusting the swing's settings. Baby will love getting her hands on Minnie Mouse's bow and ears because they are made of 3D crinkle fabrics. The Minnie Mouse Door Jumper from Bright Starts will keep your little Minnie Mouse fan busy jumping and exercising those little legs. Handheld Baby Walker,ICEBLUEOR Safe Toddler Walking Assistant Helper Kid Walking Child Harnesses Learning Assistant Belt, Safe and Non-Toxic, Breathable and Comfortable, Pulling and Lifting Dual Use. Good Baby Walking Assistant: You needn't to bend to hold your baby for walking. This ingenious swing has a seat that doubles as a portable bouncer, giving you the flexibility to move around the house while keeping baby cozy and close-by. With added features such as two-speed vibration, six swinging speeds, classical songs and nature sounds, the Graco Duet Connect® Swing Bouncer has all the options baby will love. Multiple vibration settings (press the soothing button to adjust vibration level). free toys included, a crincle cloth book, a safety baby mirror and a plush little girl toy. these can be attached to push chairs too. 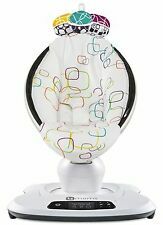 The4moms mamaRoo 4.0 Rocker/Bouncer - Multi Plush infant seat bounces up and down and sways from side to side, just like parents do when comforting their baby. Select from five unique motions, like car ride and tree swing, and five different speeds. Ingenuity Cradling Bouncer - Morrison. Designed with parenthood in mind. ™ The Cradling Bouncer from Ingenuity™ will cradle and bounce baby in plush fabrics and adorable Morrison™ fashion. Cradling seat pampers baby with plush fabrics. This is a new and unused cover removed from a swing that had broke. It was still in the bag until I removed it for pictures. plz check picture carefully. This is exactly what you will receive. Bright Starts Disney Mickey Mouse Entertainer. With this activity center, your baby can giggle and play with Disney Baby pals in 360 degrees of fun. The seat rotates all the way around, while staying safely in one place.